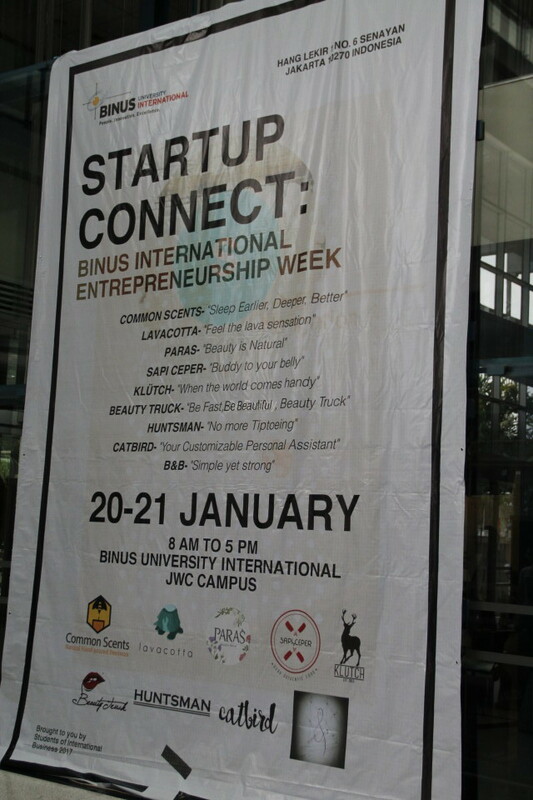 Marko S. Hermawan, Binus International’s Head of International Business Program, explained that Startup Connect is a startup business showcase for students taking International Entrepreneurship course in their 5th and 7th semester. The course weighs 6 credits, wherein 4 credits focus on theory and the remaining 2 credits focus on practical business making. “There are 2 classes taking this course. 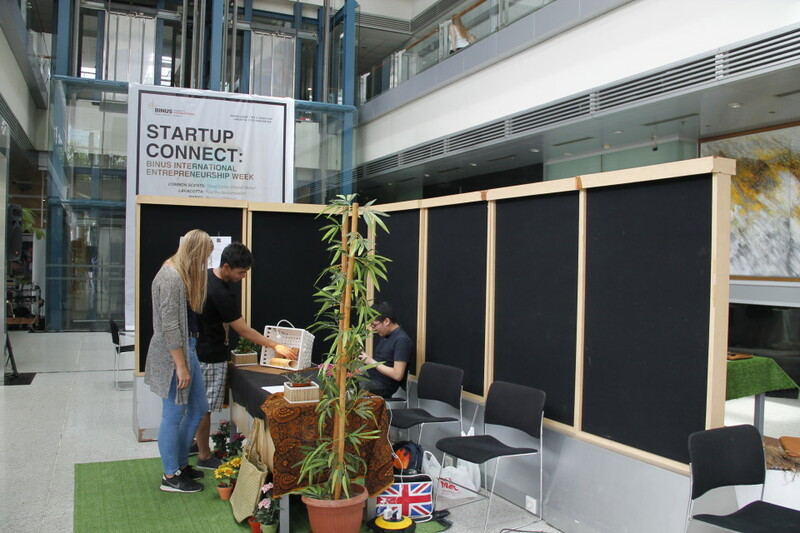 They are demanded to create businesses and we encourage students to innovate and create market opportunities,” said Marko on the first day of the pilot-business exhibition. 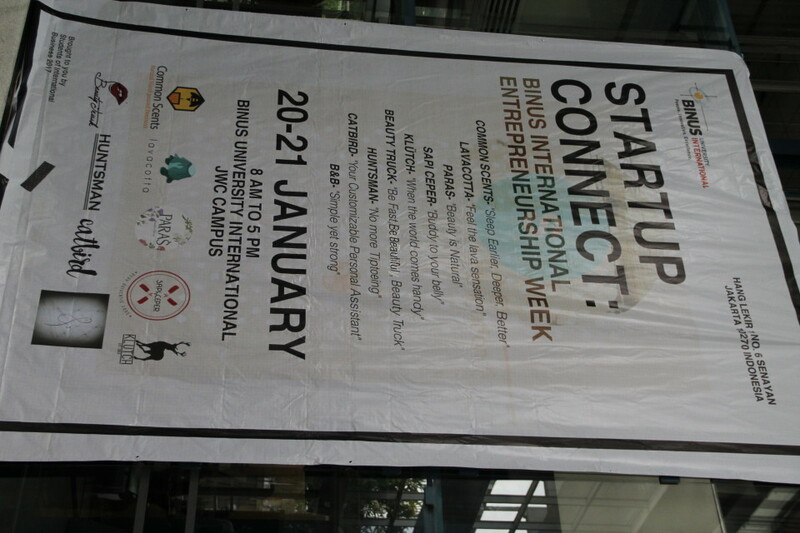 Out of 2 classes taking this course, 9 pilot businesses were showcased at the exhibition. They are Common Scents (natural-scented candles), Lavacotta (pannacota with fillings), Paras (natural skin care products), Sapi Ceper (pork authentic food), Klutch (leather pouch), Beauty Truck (on-the-go beauty treatments), Huntsman (detachable heels), Catbird (annual planner and journals), and B&B (bamboo crafts). Most of the business ideas come from students’ hobbies, combined with market analysis to determine a specific positioning. 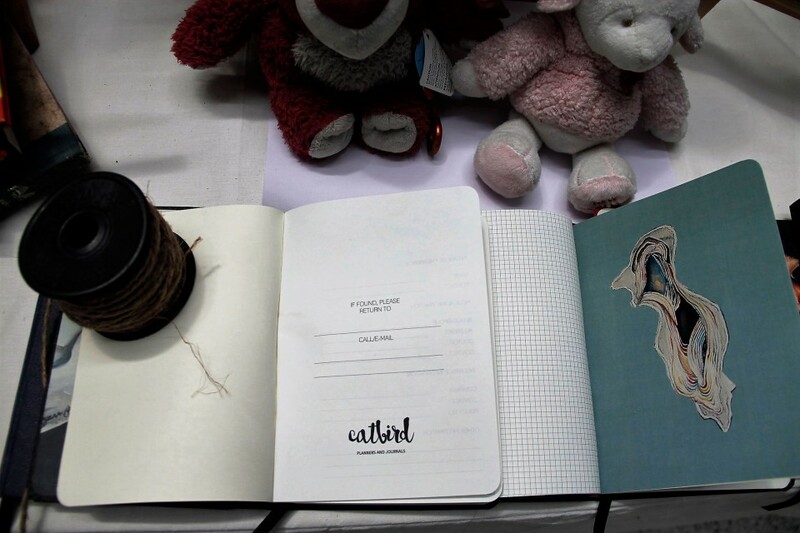 Take Catbird, it produces physical planner and daily journal offering a customization service for the journal’s design and graphic look that meets buyers’ wish. It is Jennifer Florencia, a planner enthusiast, who originate an idea behind the business. Powered by her enthusiasm, Jennifer is assisted by Stephany Maya in financial management and Wira Natanegara in marketing. Wira admitted that similar products are common. Moreover, one trend is use of digital planner whic is accessible via smartphone. “However, based on our market research, there are not many competitors offering a personalized planner design. Mushrooming digital planner applications are neither a major obstacle because many people adopt digital planners and simultaneously use physical planner. 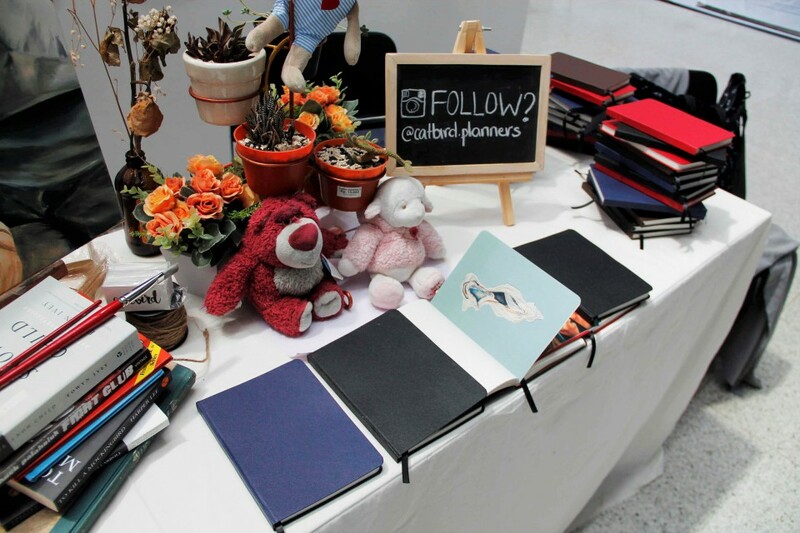 Generally, jotting in a physical planner help users train their memory of plans ahead,” said Wira who was encountered on the first day of Startup Connect. 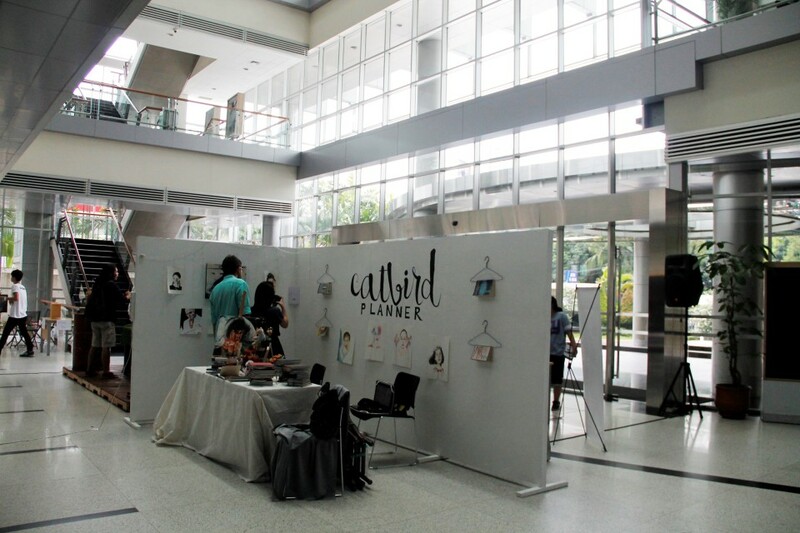 Catbird expects to sell at least 2,000 planner in their first year with price ranging from Rp150.000 to Rp250.000 and will set up B2B cooperation with banking institutions in providing planners for the banks’ give-away or merchandise. Similar to Catbird, Paras Natural Skin Care was set up on the base of its founders’ hobbies too. Paras was created by 4 people, wherein 3 of them are women. Adini, one of Paras creator, admit that an idea behind the business originated in their skincare-related activities and concern. “Nowadays a lot of skin care products are made from chemicals. So, we want to create homemade skincare products from natural inggredients,” said Adini. 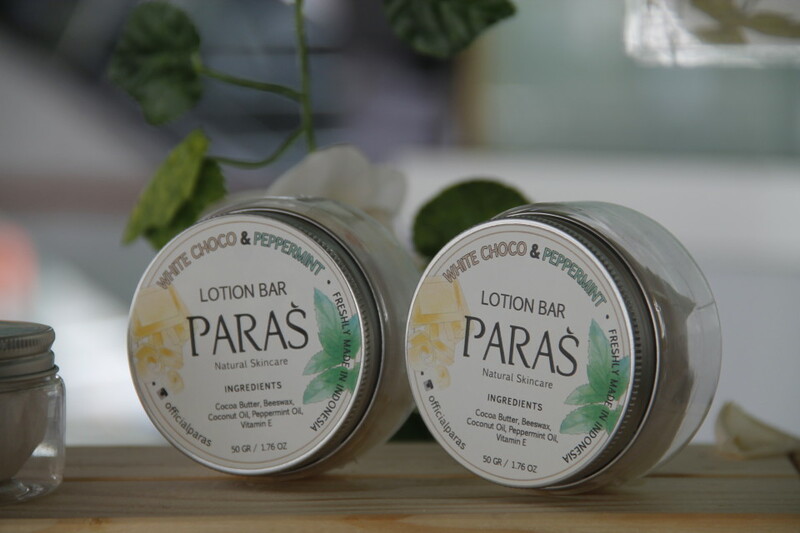 Some of Paras products are cleansing oil, face wash, face toner and lotion bars. Slightly different is Klutch Premium Leather Pouch, started on the base of its creators’ observation towards present urban lifestyle that requires people to carry a lot of stuffs when for daily activities. “Today professionals or students should carry around a lot of daily stuffs, such as smartphone or other gadget, power bank, stationery, headset, payment cards, and more. We want to offer a solution for those who carry these kinds of stuff everyday by creating a container that accommodates all of the stuffs in one place. 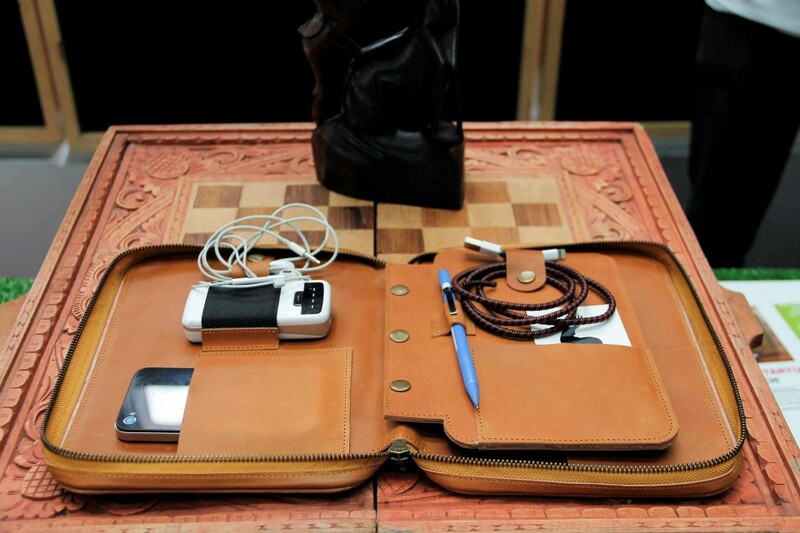 So, we made pouch of 100% genuine leather that accommodate all of it,” said Fadli, one of Klutch founders. Fadli admits that many similar products are accessible in hte market, but the product made of 100% genuine leather is still rare. 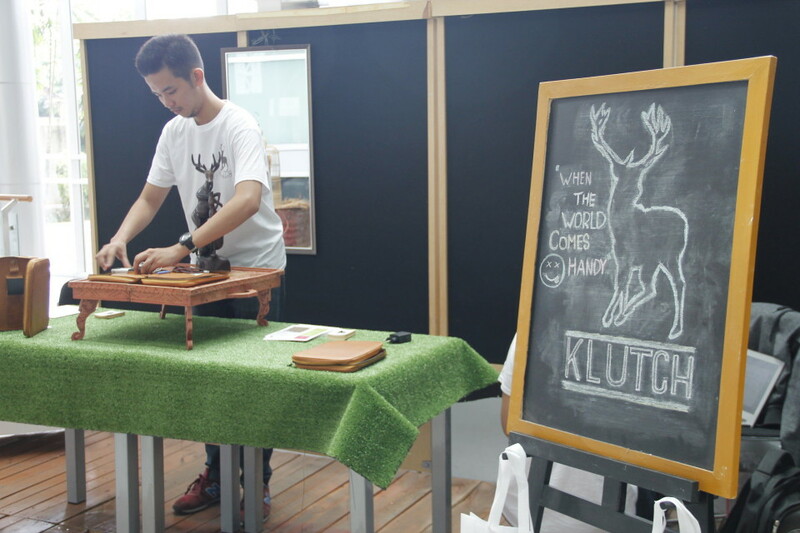 Klutch products are marketed at an average price of Rp500.000. Regarding the showcase event itself, Marko revealed that it is a pilot project in which a number of exhibited startups successfully drive investors’ attention or acquired by owners of larger businesses. Marko hopes that the students are involved not only for academic purposes, but are also able to create and introduce themselves to the real industry. “We are bridging academic field with industry, one of our way is organizing this event. Additionally, through this program, students are exposed to business-making processes which are not easy. It calls for calculation and innovation,” asserted Marko.